Mediterranean Power BowlInspired by the Mediterranean diet, this Mediterranean Power Bowl is sure to impress. Between lamb meatballs and tons of vegetables you have tons of nutritious foods! 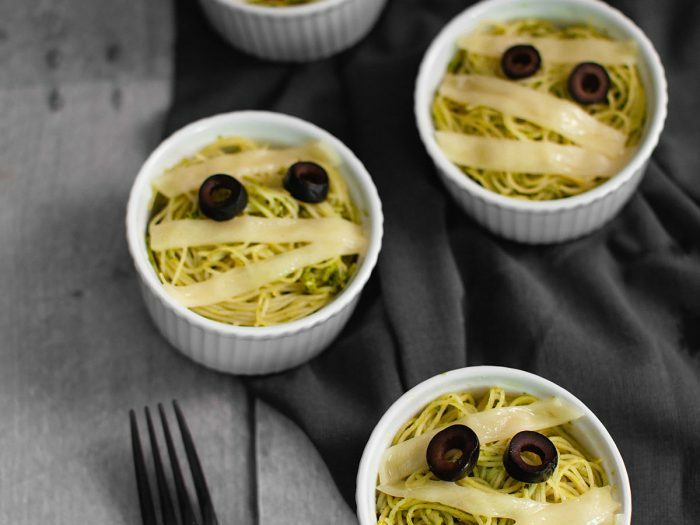 Capellini Pasta MummiesThese capellini pasta mummies will be the talk of your party; they're both fun to look at and fun to eat! 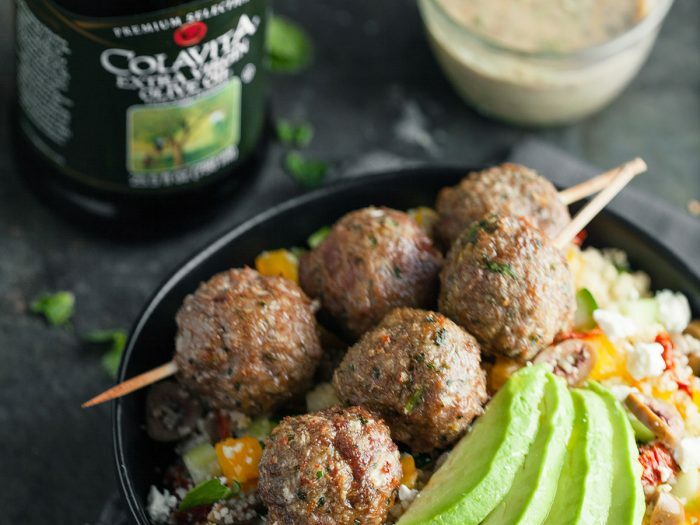 Made with Colavita capellini nests and Colavita Pesto. 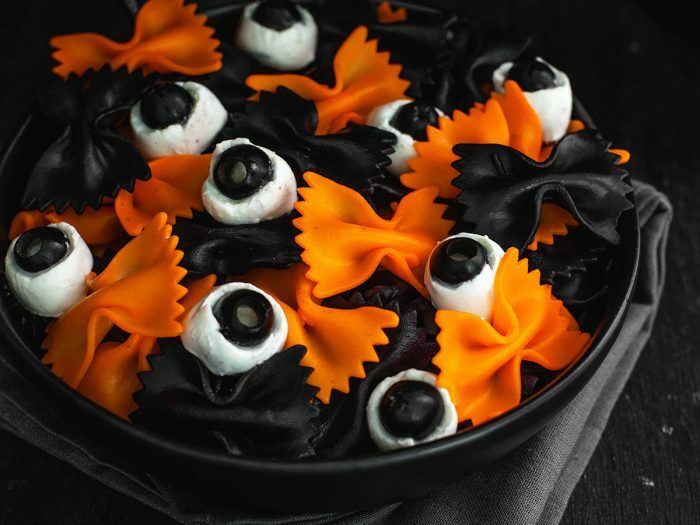 Halloween “Bat and Eyeball” PastaScare your party guests with this spooky Halloween "bat and eyeball" pasta dish! It's both festive and delicious, and will make a great addition to your party menu. 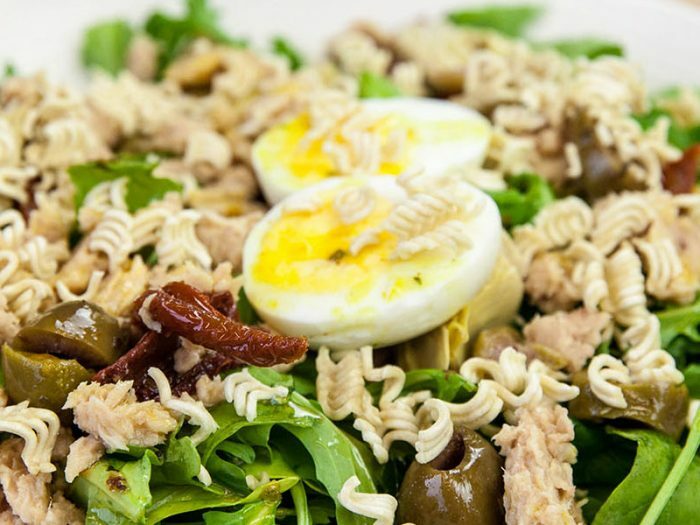 Italian Ramen SaladThe Italian Ramen Salad is our take on the college student's version of a salad. Quick, easy, and you should be able to find all of these ingredients for a low cost! Yellow Tomato Bloody MaryYou've tried countless types of a Bloody Mary made with red tomato, but one sip of slightly sweet, just enough tart yellow version and you won't turn back! 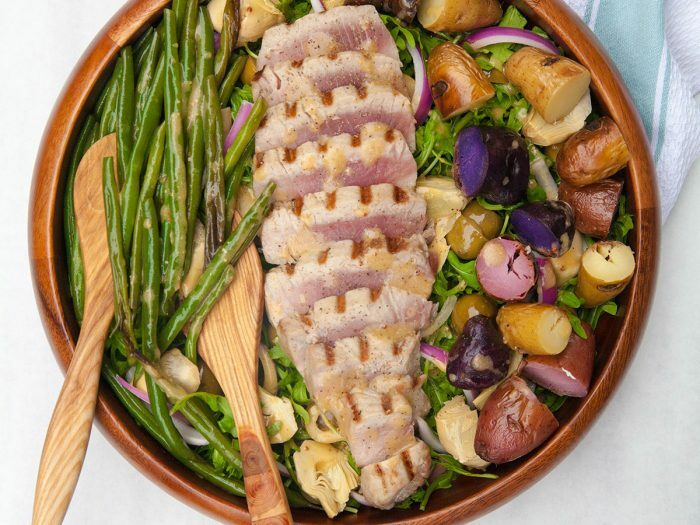 Grilled Tuna Steak SaladGrilling up tuna never sounded and tasted so good as with our tuna steak salad recipe. Put together this dish for the whole family to enjoy on a lovely summer evening outside by the fire. 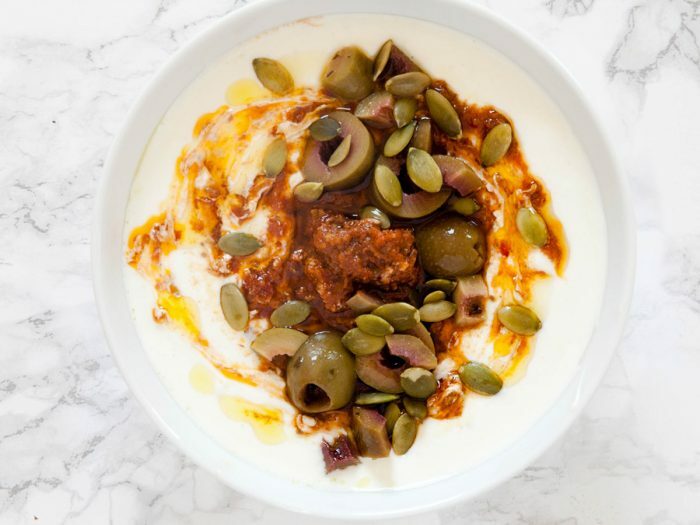 Savory Yogurt with Olives and Sun-dried Tomato PestoFor this savory yogurt with olives and sun-dried tomato pesto recipe, we used some of our favorite Colavita products and Maple Hill Creamery greek yogurt. 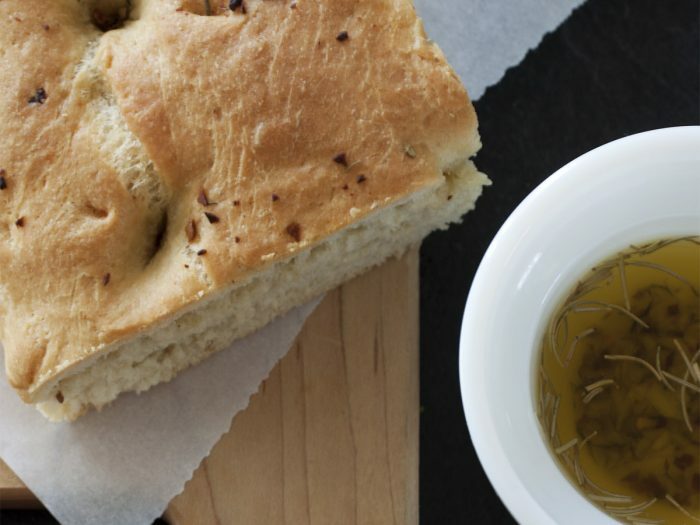 Olive-Rosemary FlatbreadLong before there were ovens, rustic flat-breads were baked on the floor of the hearth. This robustly flavored recipe can be cut into small squares for an appetizer, or into larger squares and served with a meal. 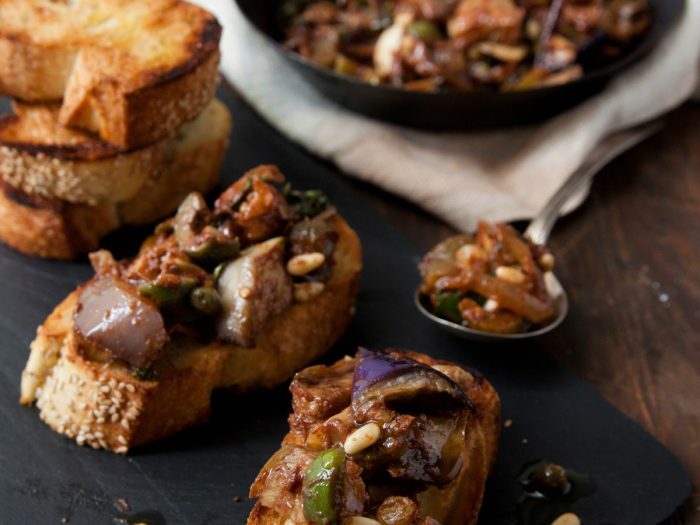 Eggplant CaponataSweet, savory, smokey, and all vegetable (well, mostly), this sicilian dish can be scooped onto plates or crostini as a side, mixed into pastas as a sauce or even used as a pizza topping alongside some smoked mozzarella. Roast the eggplant to assure a heart-healthy serving. 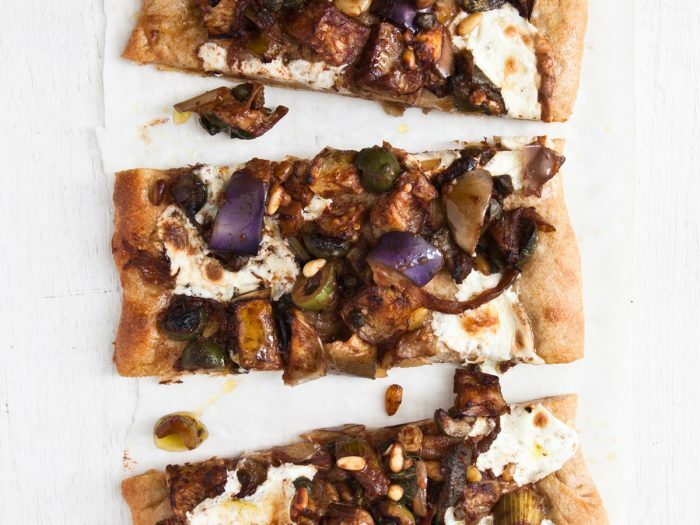 Eggplant Caponata PizzaSweet, savory, smokey, and all vegetable (well, mostly), this Sicilian dish can be scooped onto plates or crostini as a side, mixed into pastas as a sauce or even used as a pizza topping alongside some smoked mozzarella. Roast the eggplant to assure a heart-healthy serving. 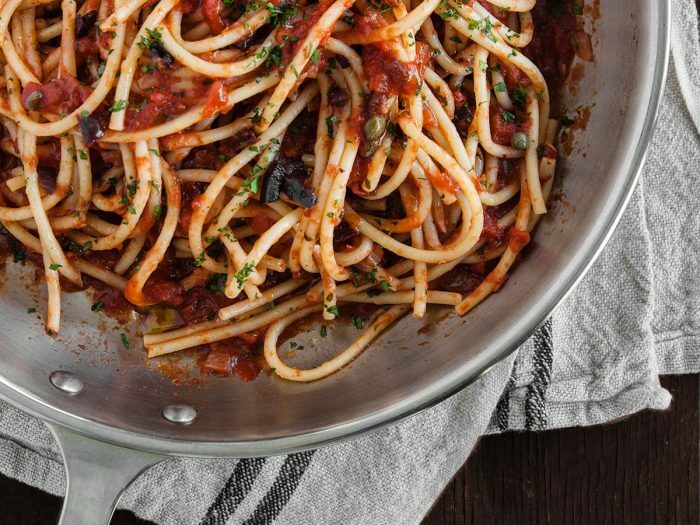 Bucatini with Puttanesca SauceThis homemade puttanesca sauce pairs well with any long pasta cut; here we feature our Colavita bucatini pasta. 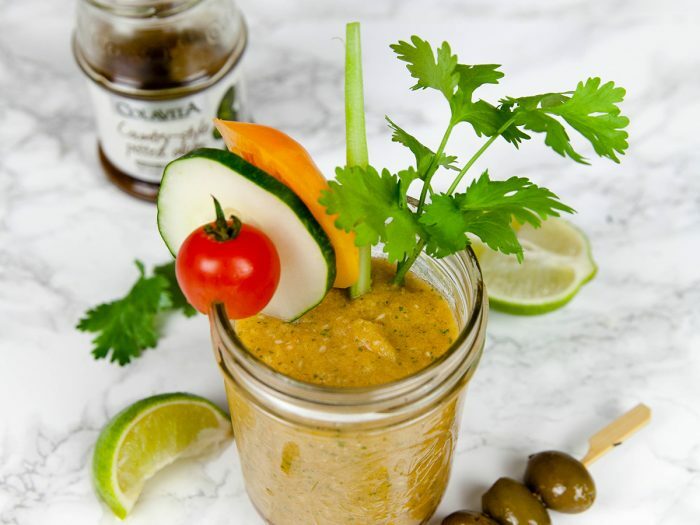 Enjoy the richness of this sauce from the anchovies, capers and olives. Pair with a flavorful red wine like our Pinot Noir. Roasted Garlic Chicken Sausage with PenneTry our roasted garlic chicken sausage with whole wheat penne, wilted arugula, and goat cheese. 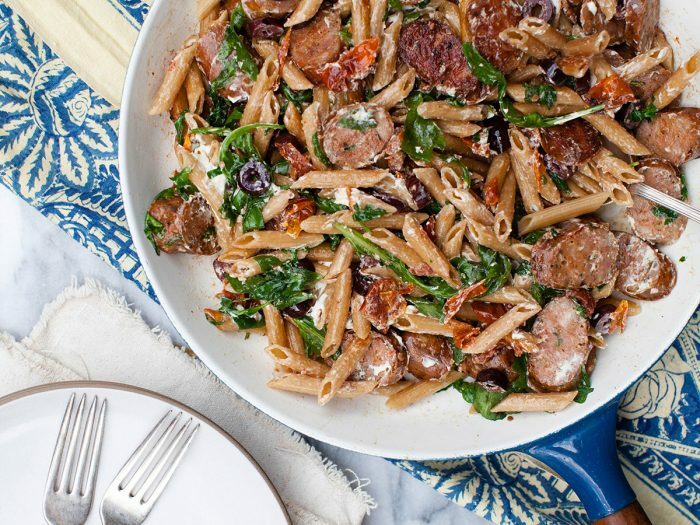 This is the perfect dish to combine the salty taste with some pasta and sausage. When you top it off with cheese, how could you be disappointed?